Hi,i’m big fan of ms dhoni and ms team. Channai supper strongly coming every year because ms dhoni.he is best captain for india,and best kepperbatsman.he is a living legend. 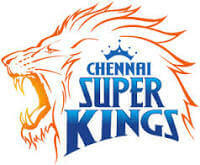 I think CSK will take a fast bowling option to strenthen their bowling department. *In a spinning track, Bhajji or karn Sharma may replace S.Thakur at no.9. First 11 players realy won players, and super team. This player select to play definitely won the ipl match.